Military veterans in the D.C. area have the highest median income among vets in the nation, and vets have a higher home ownership rate than the general population, but they are increasingly being squeezed out of Washington’s competitive and high-priced market. WASHINGTON — Military veterans in the D.C. area have the highest median income among vets in the nation, and vets have a higher home ownership rate than the general population, but they are increasingly being squeezed out of Washington’s competitive and high-priced market. Part of the problem is the VA loan, which offers vets incredible borrowing terms, but has become a hindrance in Washington’s extremely frothy housing market. 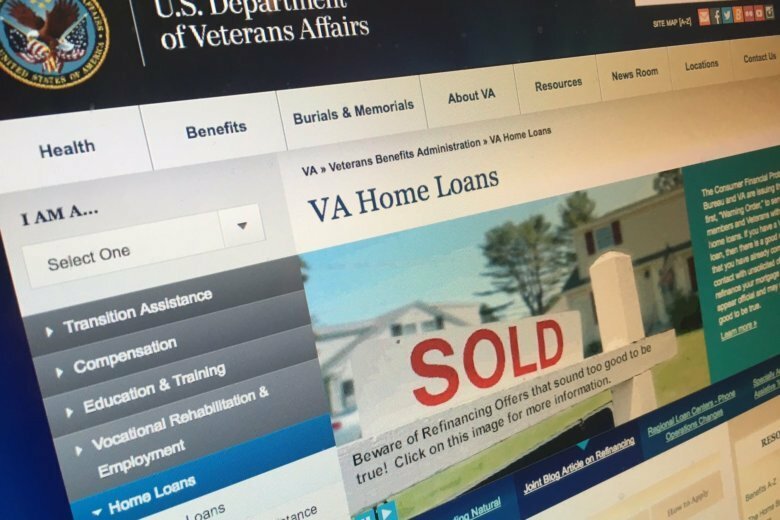 “These loans are zero percent down and have low interest rates, and are a great entry market product for veterans,” real estate listing company Redfin’s Nela Richardson told WTOP. “But in these hot markets like D.C., we’re seeing all-cash buyers and we’re seeing people with significant amounts of money down. The more money a buyer puts down, the more wiggle room they have to escalate the price in a bidding war and all of this is contributing to a really tough environment to use a VA loan,” she said. VA loans can also take longer to close than conventional loans, which also puts veteran homebuyers at a disadvantage in this fast-paced housing market. The other hurdle facing Washington area vets is simply affordability. The median annual income for a military vet in the Washington region is more than $73,000, according to Redfin. But that still makes the share of homes affordable for area vets just 19.6 percent, and that’s down 14.2 percentage points since 2012. Home prices are up an average of 53 percent since 2012 in the metros Redfin looked at, but veterans’ median income is up less than 2 percent, so the disparity between what’s on the market and what a veteran can afford continues to grow. There are still affordable markets for veterans, and the most affordable is not that far away. “Virginia Beach is the most affordable market for veterans, but (even there) there is a $125,000 gap between what a typical veteran in Virginia Beach can afford and what the list price of a typical home in Virginia Beach is and that’s a long way to go, even in the country’s most affordable metro for vets,” Richardson said. A military vet can afford, on his or her salary, on average 38.1 percent of the homes on the market in Virginia Beach. Memphis, Indianapolis, Louisville, Detroit and Baltimore are also at the top of the list for affordable housing markets for vets. At the bottom of the list? San Jose, where Redfin calculates the share of homes affordable for local veterans is zero percent. It is less than one percent in Portland, Phoenix, Denver, San Francisco and Los Angeles.